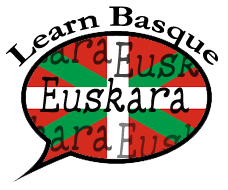 In English we use the word Basque to describe both a people and a language. This is derived from the French variation (the Spanish is vasco) of "Eusk." 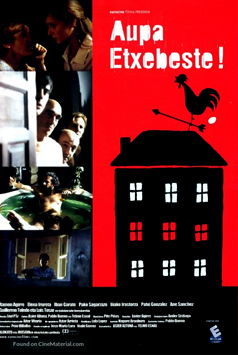 In their own language, Euskara, Basques refer to themselves as Euskaldunak. This is one of the rare instances of a people defining themselves by their language. Euskotar, for example, means ethnic Basque and can be applied to any Basque whereas Euskaldunak is specific to those who speak Basque. Where does Euskara come from? According to the late Larry Trask, an Euskara specialist, it doesn't really "come from" anywhere -- it's just been there for a very long time. The ancestral form of Basque was introduced into western Europe long, long ago--at least thousands of years ago, and maybe even tens of thousands of years ago. Nobody knows. All the other modern languages of western Europe arrived much later. Is Basque related to any other language? No, responds Trask. The relatives that Basque once had have died out without a trace. Basque absolutely cannot be shown to be related to any other language at all. Trask declares that some people will try to tell you differently, but they don't know what they're talking about, and the great majority of them don't even know anything about Basque. "Let's take Euskara out, to the plaza, dancing, and to the whole world." 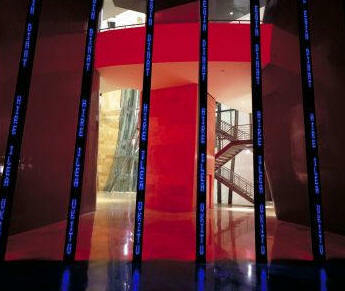 One of the more profound exhibits at the Guggenheim Bilbao Museum is one designed by Jenny Holzer (b. 1950, Gallipolis, Ohio, U.S.A.). It consists of columns of scrolling words in English with red lights, that when first seen appear to be up against a dark wall. But if one moves closer, you find that the nine LED light columns are actually double-sided and in front of the wall. Stepping through the light columns you turn to find scrolling words on the back-side of the columns, but this time in blue lights and in the Basque language (as seen in the image below). Okay, I'm convinced. So how do I learn Euskara? For the latter--those who feel bad that they don't know Basque because they too would like to know that "hidden world," well there is good news for you! There's never a time like the present to follow through on what you've always told yourself: "I wish I knew Basque." 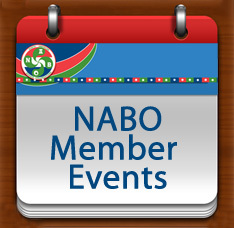 There are opportunities out there now that make learning easier, including classes at Basque clubs and now an online option as well.